Tesla also showed off two solar roofs: one on a house and one on a Model 3. Tesla swept headlines this week by launching a groundbreaking solar roof tile that's better looking and longer lasting than standard shingles. The technology could trickle down to the company's cars too -- Elon Musk hinted that the upcoming Tesla Model 3 could feature a solar roof that melts ice and snow while generating energy from the sun. 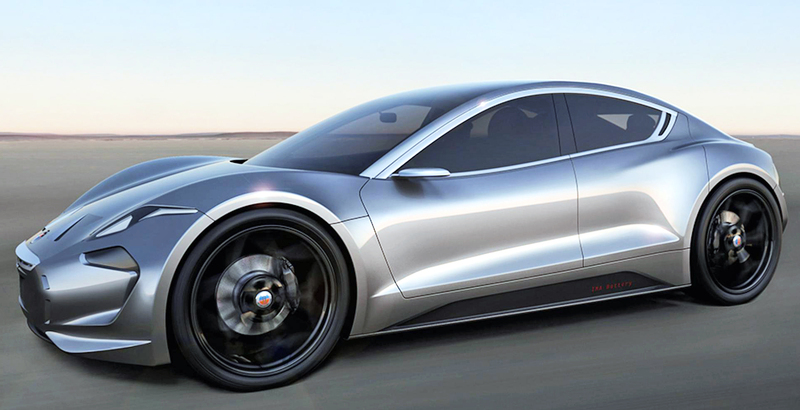 Meanwhile, legendary automotive designer Henrik Fisker finally unveiled his EMotion sports car, which will be able to drive 400 miles on a single charge when it launches next year. Nissan debuted the first all-electric mobile office, which is housed in a beautifully renovated e-nv200 van. And a Chinese company is getting ready to launch the world's fastest maglev train, which will be able to hit 373 miles per hour. How many Gigafactories would it take to power the entire world with renewable energy? To find the answer, Leonardo DiCaprio interviewed Elon Musk in his new documentary Before the Flood, and it turns out it would take about 100. In other energy news, the largest thermal solar plant on the planet could be coming to Nevada, while the Netherlands is spending 150 million euros to turn cow poop into biogas. Voltaic pioneered the solar backpack nearly a decade ago, and now they've launched a powerful new line of completely redesigned bags that can charge phones, laptops and even drones. SolarAid launched the world's most affordable solar light, which costs just $5, and designer Teresa van Dongen created an electricity-free lamp that is powered by bacteria. Election Day is coming up next week, and designers are having a field day over Trump's proposed border wall -- one pokes fun at the plan's "gorgeous perversity" with a massive pink wall, while another features a purple bridge that actually makes the border easier to cross. In other design news, scientists are using 3D printing technology to create more effective magnets with zero waste. MIT used plant nanobionics to create spinach leaves that detect dangerous explosives. And a new bionic eye chip brings us even closer to a device that can give sight to the blind.